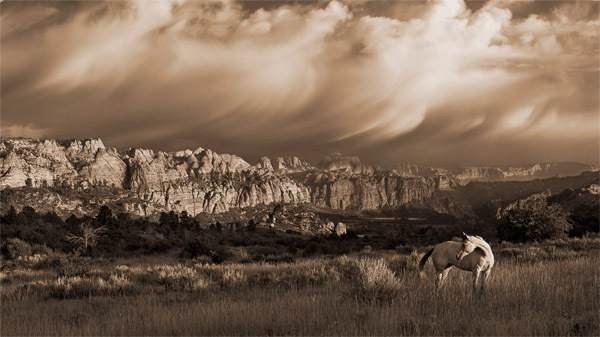 Robert Dawson travels the wide open spaces of the West in search of the perfect scene to capture with his camera. On the plains of Utah, a solitary horse grazing in the tall grasses stands on alert. Perhaps something has caught the animal's eye or it hears what looks like an approaching storm.